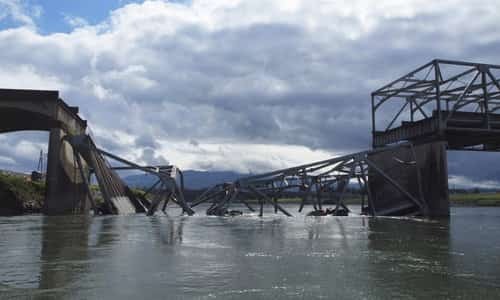 No matter what your particular political perspective is, if there is one thing that virtually everyone in the United States can agree upon it is the fact that America's infrastructure is crumbling. Previous generations of Americans conquered an entire continent and erected the greatest system of infrastructure that the world had ever seen, but now thousands upon thousands of those extremely impressive infrastructure projects are decades old and in desperate need of repair or upgrading. The near catastrophic failure of the Oroville Dam is a perfect example of what I am talking about. We should be constructing the next generation of infrastructure projects for our children and our grandchildren, but instead we are in such sorry shape that we can't even keep up with the maintenance and upkeep on the great infrastructure projects that have been handed down to us. Once upon a time nobody on the entire planet could even come close to matching our infrastructure, but now our crumbling infrastructure has become a joke to much of the rest of the industrialized world. Sadly, this is just another symptom of our long-term economic collapse. We simply are not able to put as much of our money toward infrastructure as previous generations of Americans did, and as a result we have a giant mess on our hands. #1 According to the American Road and Transportation Builders Association, nearly 56,000 bridges in the United States are currently "structurally deficient". What makes that number even more chilling is the fact that vehicles cross those bridges a total of 185 million times a day. #2 More than one out of every four bridges in the United States is more than 50 years old and "have never had major reconstruction work". #4 The average age of America's dams is now 52 years. #5 Not too long ago, the American Society of Civil Engineers gave the condition of America's dams a "D" grade. #6 Overall, the American Society of Civil Engineers said that the condition of America's infrastructure as a whole only gets a "D+" grade. #8 According to the U.S. Department of Transportation, over two-thirds of our roads are "in dire need of repair or upgrades". #11 According to Bloomberg, it is being projected "that by 2025, shortfalls in infrastructure investment will subtract as much as $3.9 trillion from U.S. gross domestic product." The quality of our infrastructure affects all of our lives every single day. For instance, we all simply take it for granted that safe, clean drinking water is going to come out of our taps, but recent events have shown that is not necessarily always going to be the case. Water pipes, sewer systems and water treatment facilities all over the nation are aging and are in desperate need of repair. Of course the exact same thing could be said about our power grid. It was never intended to handle so many people, and on the hottest days of the summer the strain on the grid is very evident. And of course the power grid is exceedingly vulnerable to an electromagnetic pulse event, and this is something that I covered in my book on getting prepared. It has been projected that it would only cost a couple billion dollars to harden the grid against an EMP event, but our politicians refuse to spend the money. Meanwhile, President Trump is completely correct when he says that our airports look like something that you would see in a third world country. Most of our airports are at least several decades old, and they are definitely showing their age. But things are even worse when you look at other systems of mass transit around the country. While other nations such as Japan and China are investing huge amounts of money into high speed rail, we are doing next to nothing even though what we currently have is absolutely pathetic. President Trump's instincts are right on the money when he says that he wants to spend a trillion dollars on infrastructure. Without a doubt, we desperately need it. It is easy for liberals to say that we should raise taxes, but how much more are you going to squeeze out of U.S. consumers? Two-thirds of the country is living paycheck to paycheck, and we just learned that U.S. household debt has risen to a grand total of 12.58 trillion dollars. But today we have the biggest mountain of debt in the history of the world and we can't even afford to repair what we already have. When I speak of our long-term economic collapse, this is precisely the sort of thing that I am talking about. We have clearly been in decline for a very long time, and anyone that would suggest otherwise is simply not being honest with you.